Ed at the booth during Seafood Expo 2015. 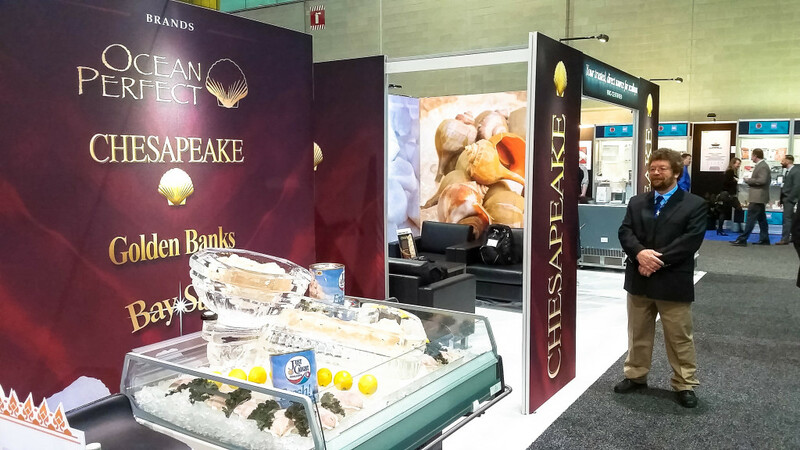 We are looking forward to Seafood Expo North America in Boston, March 19th-21st. Make sure you stop by booth 1604 and look at our new updated booth. Be sure to look at both our fresh and frozen scallops that will be on display. Click here to preview the floor plan for the seafood show - Be sure to look for booth 1604. For any other inquiries or to schedule a meeting during the Seafood Expo contact Matt or Johnny at (757)244-8440.